A cup of coffee at any time can refresh you, and can make you more mentally alert. It has been found that consumption of coffee in moderate amount is beneficial to human health. You can enjoy a cup of coffee anytime you want if you have a perfect coffee maker at your home or office. 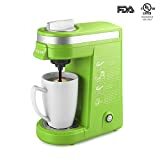 There are different products available if you search for the best coffee makers under $50 on popular online shopping sites. You can depend on these easy to use coffee makers for a hot cup of coffee or iced coffee anytime you need it. The preparation method may vary in different products. You can select the product according to the volume of coffee you may need and according to the design. You get the coffee maker of your choice delivered to your doorstep. This is also an ideal gift to your friends, family members, colleagues, etc. 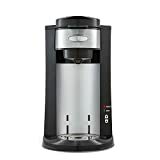 2.1 Is there any Keurig coffee maker under $50? Sometimes it is very difficult for low budget to get a good product. All coffee makers in our list have a fantastic balance of value and price. Below you will find a list of 4 best coffee makers under $50 with reviews. If you need more and better check best coffee maker under $ 100 to buy in 2018. Double the amount of money and get a better coffee maker and better coffee for yourself. Yet you can meet the basic coffee needs with just $50 budget. This product is in compliance with North American electrical standards and is the best option for people with a busy lifestyle. It comes with durable stainless steel thermal mug which can hold 15 ounces of coffee. This coffee maker has permanent filters and removable filter basket. You need not have to shop for paper filters when you have DCM18S Brew ‘n’ Go coffeemaker. It offers easy one-touch operation for brewing your coffee. Your coffee will brew at an optimal temperature when you press the on switch. The optimal temperature will ensure the best-flavored coffee. You can brew 1-2 cups of coffee using this product. You can use coffee pods or coffee grounds to make coffee in this compact machine. The travel mug fits into the cup holders in most of the cars. You can easily carry them while you are traveling. The mug, lid, filter and filter baskets are easy to clean and are dishwasher safe. One of the best thing for this coffee maker is price. The price is much lower than your $ 50 budget. 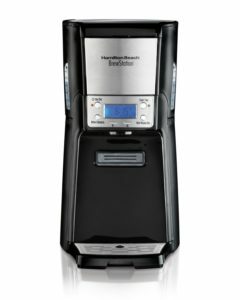 If you want to brew multiple cups of coffee at a time you can opt for 48464 BrewStation 12-cup dispensing coffee maker by Hamilton Beach. 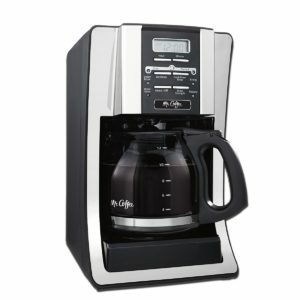 This coffee maker can also be found on our top list of the best 12-cup coffee makers. The design of this coffee maker prevents the need for pouring and there are no chances of spills. There are no glass carafe and hence nothing fragile in the product. This product offers easy one-hand dispensing of coffee. You can select the brew options like bold, regular, iced coffee or you can make small batches of 1-4. The auto shutoff is programmable and is customizable from 0-4 hours. You don’t have to worry about the scorched flavor of the coffee when you have this product. The brewing system and the gentle warmer retain the temperature and flavor of the coffee for hours. It is easy to make coffee in this machine. All you need to do is to add water and fill the permanent filter with ground coffee of your choice. This coffee maker is our first choice for best 12 cup coffee maker under $ 50 in 2018. 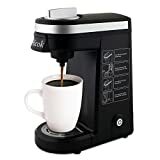 And that is not just our choice, this coffee maker is Amazon choice for for Hamilton Beach Brewstation. If you are looking for the best coffee maker under $50 that offers style and functionality then Mr. Coffee BVMC-SJX33GT-AM 12-Cup Programmable Coffee Maker is a good choice. This product comes with a modern design and the thermal carafe compatibility. You can opt for the thermal carafe accessory sold separately, if you want to keep the coffee flavor for longer duration and to retain the temperature of the brewed coffee. You can set the delay brew timer so that you will be able to get hot coffee when you need it. You can make bold flavored coffee by using the brew strength selector. The brewing pause ‘n’ serves option allows you to pour the coffee before the brewing process is completed. The water filter in the product removes chlorine from the water to give the best tasting coffee. The 2 hour auto shut-off feature keeps your coffee hot for 2-hours after brewing. If you are a coffee lover who wants to brew your coffee yourself, Brill Stone French Press Bundle will be of great help to you. This product uses double filter technology to give fresh coffee or tea with a bold aroma, removing the acidity of coffee grounds and tea leaves. There is no need for paper filters to brew quality coffee. The double wall insulation ensures sustained temperature and freshness in each cup of coffee. This product comes with all the necessary accessories for coffee making, such as the coffee ground scoop, dessert-spoon to measure sugar or honey additional filter screens. This French press with 34 Oz capacity is an ideal product for you and your family. The product is rust resistant and dishwasher safe. This product offers a lifetime warranty and best customer support which makes it one of the best buys you can get. There is a large selection of great french press coffee makers that will definitely fit into your $ 50 budget. We write about Brill Stone french press coffee maker and besides Brill Stone you can find many quality and very cheap French press coffee maker. 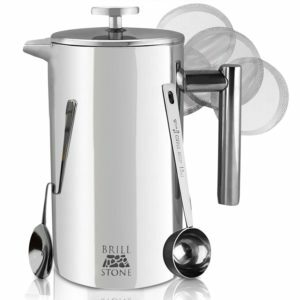 We choose Brill Stone because we do not have enough words to express our satisfaction with that coffeemaker. Check other TOP in list below. Is there any Keurig coffee maker under $50? If programmable is one of the most important features for you than you need to check coffeemakers listed below. All that coffeemakers fit into your budget. The different coffee maker products come with different convenient and easy to use features. 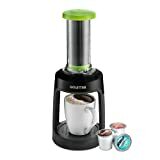 Select the best coffee maker under $50 according to the capacity, strength retaining availability, filter type, the compactness of design and the price. You will be able to make the perfect cup of coffee with any of the products mentioned above. I need an affordable coffee maker I can always travel with. 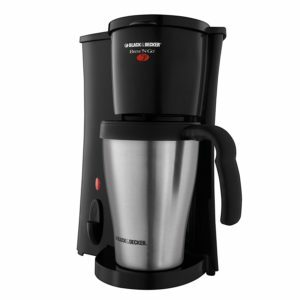 I think I will go with BLACK&DECKER DCM18S with travel mug, I just hope it will be durable. Thanks.